The Green Bay Packers "are expected to request an interview" with Northwestern head coach Pat Fitzgerald, according to Adam Schefter of ESPN, as the team looks to fill its head coaching vacancy in the wake of Mike McCarthy's firing. "It is unclear whether Fitzgerald would interview, according to the source, but he certainly would be comfortable with the man leading the interview for the Packers. Packers CEO and president Mark Murphy was Northwestern's athletic director when Fitzgerald was hired as the head coach at his alma mater in 2006. "Murphy and Fitzgerald have great respect and admiration for each other and will have the chance to discuss a reunion that would be a radical shift for Fitzgerald, who has been widely regarded as one of college football's top coaches." The Packers will have a new coach in 2019 for the first time since 2006, when McCarthy took over. The 55-year-old went 125-77-2, leading the team to a Super Bowl title in 2010 and nine postseason berths. In the past two years, however, Green Bay was just 11-16-1 and missed the postseason twice, prompting his firing after Week 13. 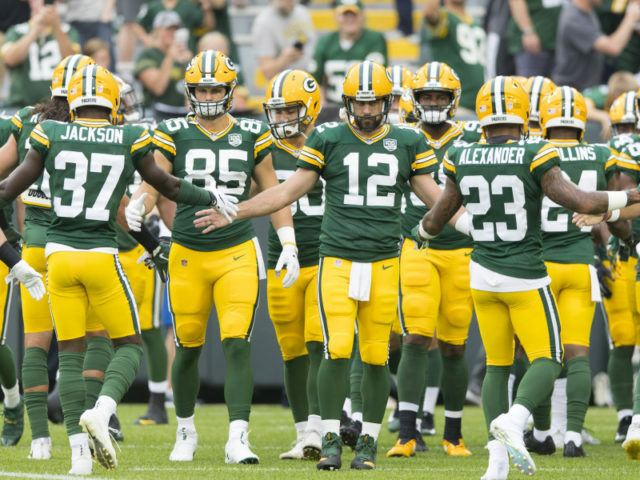 With Aaron Rodgers, 35, entering the last chapter of his career, the Packers made a change, likely hoping to squeeze another title run or two out of their superstar quarterback. The 44-year-old Fitzgerald has had an impressive run at Northwestern since 2006, going 95-70 with eight bowl appearances (three wins). Since 2015, he's led the Wildcats to two 10-win seasons and this season's Big Ten Championship Game (a 45-24 loss to Ohio State) and Holiday Bowl against Utah. According to Ian Rapoport of NFL Network, "Fitzgerald has shut down countless interview requests from the NFL in the past," though his connection to Murphy could help end that streak. The Packers are expected to cast a wide net, however. Per Schefter, Green Bay has already interviewed former NFL head coaches Jim Caldwell and Chuck Pagano, while Rapoport added the team could interview 10-12 candidates. Per Rapoport: "Interim coach Joe Philbin will receive a head coach interview, but it would be a surprise if he received the full-time job. ... Josh McDaniels, who has already built a relationship with GM Brian Gutekunst and is open to the right job, would be another possible candidate."